Today, we’ll give you the full-blown guide on how to create a profitable Facebook Ads campaign so you can make some money like it ain’t funny! Let’s go to another informative and super cool article created by two Media Buying masters called Rodrigo and André! Once you have a Facebook account available and you’ve created a fanpage about the topic you wanna promote, you’re ready to go. 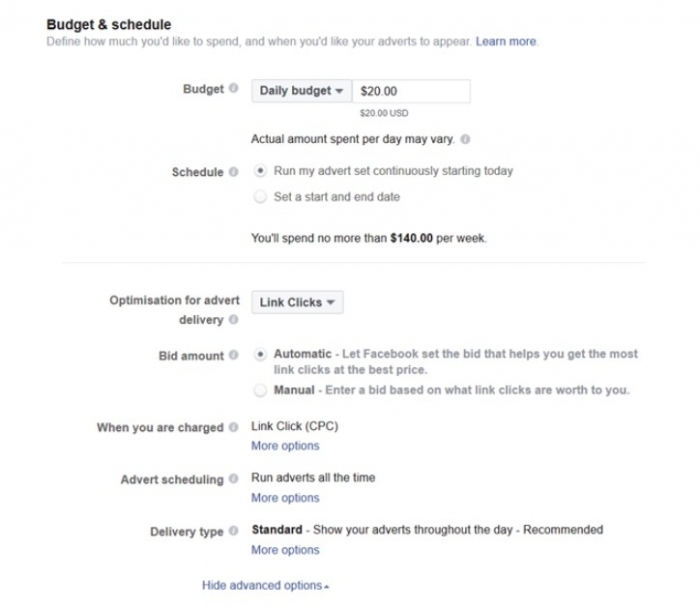 This is where you’re gonna select the marketing objective of your Facebook Ads campaign. Let’s take the first option for a campaign while the other options follow the same scheme. The first option makes you choose between an app or a website. You should use the website option in case you’re driving a user to a pre-landing page. This is the place where you can target your audience when advertising using social media. Let’s check them one by one to make it easier for you to follow. If you’ve got a mailing list, contacts, or user IDs you wanna use, this is the place where you should insert them. This is how you’ll be able to only target the uploaded list of users as a Facebook marketer. This is where you select the countries you wanna include on a Facebook marketing campaign. At the beginning, we recommend you test various countries on a campaign. You should go for countries that share the same spoken language such as Panama, Mexico, Argentina, etc. Afterwards, you should get those saucy stats to split and run the profitable countries like a genius turned master monetizer that makes social media marketing look easy! Select the age range you wanna target. We recommend you pick a small range since different ages will showcase different performances on Facebook ads. You can select if you wanna target Men, Women or both. Again: we advise you to target different groups because they’ve got different behaviors and will therefore have varying performances on Facebook advertising. No need to select one. This option allows you to target a specific interest or behavior. For example, you can target users interested in the product you’re selling or target users who use the 3G/4G connection type so as to get mobile carrier traffic only. You can reach people with a specific category. There’s no need to specify one at this point of the Facebook ads campaign. We’re now approaching the placements option. You can click on edit placements and choose mobile traffic. Then, we suggest you choose Facebook traffic only. Instagram and Audience Network traffic can be leveraged once you’ve got more experience since both have lower conversion rates. On the advanced options, it’s intelligent to choose a specific operating system you wanna use. You can also select between using only Wi-Fi or Wi-Fi + 3G/4G. In this group, you can set up the budget, schedule, and the bid option. You can select a daily budget. At the beginning, try to keep it small. At this early stage, you’re just looking to test. Our advice: go for 10$/20$. You should choose to be optimized by daily unique reach. You’ll target the same IP one single time for a period of 24 hours. The bid amount should be always set as CPC and the schedule should be set to run all day because you still have no info that could allow you to perform dayparting. The delivery type should be set as standard. You don’t wanna spend the budget as quickly as possible because you wanna analyze the different hours of a day. 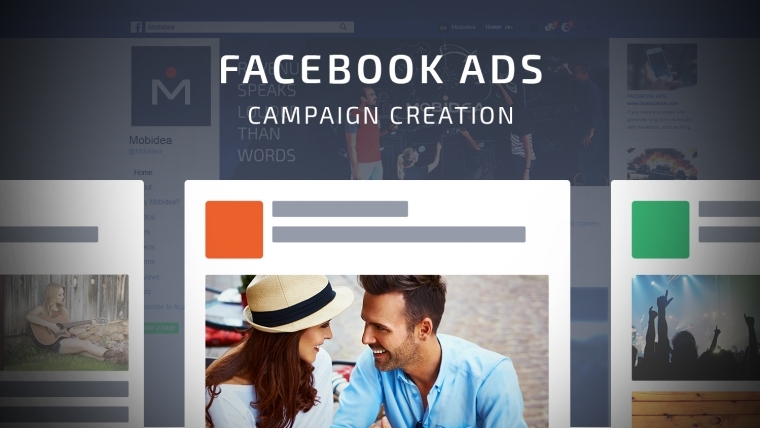 You can then create your Facebook marketing ad in the next step. In this section, you’ll create the Facebook ads users will drool over. This means you must choose the image, title and description that you wanna show. It’s important that these ads galvanize users to click like crazy bots! You want a whole lotta user interactions. A high CTR (Click-Through Rate) and a high engagement will lower your costs, increase your reach, and make your profits fly up to the sky! The image shows the menu that appears at the beginning of the section. Single image: you can pick a maximum of 6 banners which will rotate. They’ll appear in equal proportions to all users. The text contained in the image is now allowed without restrictions, instead of the old nerve-wracking 20% limit. Nevertheless, the system will send less traffic for images which contain large areas of text. That you should and must keep the quantity of social media marketing text to a minimum! Carousel: this option allows you to create an ad that lets you use several images, chosen by you. The images are scrollable by the user when seeing the post. The objective is to try to increase the engagement of the post as it’s a better “show off tool” than an image. The video may have a maximum time limit of 60 minutes (this is strictly for Facebook Ads. On Instagram, the limit is 60 seconds, for example) and it must be HD. Slideshow: this option allows you to create a cascade of images selected by you. The number of images must be between three and ten. The slideshow will loop with a 50 second max time on each loop. Canvas: in this option, you can use images, videos, slideshows and also a combination of all of those. The idea is to create a story which grabs the user and makes them buy the service you’re promoting. You need to dedicate more time to the implementation but it may result in better performances in the end. In the next steps, we’ll pick the single image option, because it’s simpler to begin with. The other options will follow the same motions, though. In the next option – images – you can pick the images to upload. You can now move on to the next group of Facebook ads options: page and links! Connect Facebook Page: the following option allows you to Connect your Facebook Page (the fan page you’ve previously created) to the ads you’re creating. Destination: you’ve got a box where you can insert a link. This will be the URL where the user will land if they click the ad. This is where you’ll write the URL of the pre-lander you’ve created before. Headline: this will be the place where you can write your post’s title. Make it simple, straight to the point, and flashy to increase the chances of getting cool social media marketing profits! Text: enter the description of the promoted product. Describe the advantage and innovation of your product. Call to Action: you can include a call to action. There are many options and they’re all cool. The most requested ones are download, learn more, sign up, and watch more. Display Link: if your link is too big or not so great, you can always enter the URL they’ll see in the ad in this box. On the post, it may be important that users get to read a trustful URL instead of a strange, shady-looking one. URL parameters (UTM parameters): an optional tool. It lets you identify the source of your ad traffic. The results must be always tracked using a platform which allows the tracking. Let’s suppose you’re testing a post that contains a specific image. If you set image = image1 and image = image2 in different images, you’ll see the number of clicks each image received separately. Pixel tracking: you can create a pixel which allows you to track several of your campaign’s parameters. You can track the conversions from different age ranges, gender, and locations, among other options. The next step will be to pay the campaign you’ve just created. There are a bunch of different payment methods you can use when advertising using social media from pre-paid, PayPal, and credit card, among others. Remember: the payment methods will always depend on the country. Always give the whole info because Facebook can refuse a campaign in case some info isn’t there or it’s incorrect. As soon as Facebook approves your campaign, you’re ready to go!!! If you wanna succeed in the Facebook Ads trenches, you should always know and follow its policies! Check them all here before doing some silly mistake that sees you becoming a banned enemy of social media marketing! I hope this classy tutorial has been able to help you create Facebook ads campaigns that’ll boost your profits into the Milky Way! Oh no, is this the end of this Facebook advertising series? You should definitely keep tabs on the Mobidea Academy to find out what else we’ve got in store for you! This is the best online platform for you to rule as a Facebook advertising king! In the next articles, we’ll give you some cool tips about detailed options, optimization, and campaign examples for you to really understand how to explore your Facebook ads campaign! Bring all that tasty juice from social media marketing traffic!